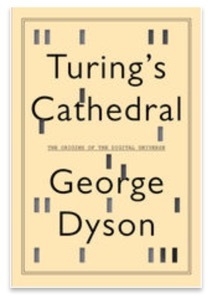 “The Universal Turing Machine of 1936 gets all the attention, but Turing’s O-machines of 1939 may be closer to the way intelligence (real and artificial) works: logical sequences are followed for a certain number of steps, with intuition bridging the intervening gaps.” AI-artificial intelligence and its sub components such as expert systems, algorithms or rules-of-thumb is tasked with analyzing “big data” to the point where data becomes information begets actions. Today, algorithm or rules-based AI is no more than saying I want a SUV automobile with many options and the search finds the vehicle you are looking for. However, this does not give any insights into why the customers wants this kind of vehicle, what they will do when they get it or what kind of customer experience is gained. Intuition is without a doubt something that is nearly or impossible to quantify found in AI algorithms. Little is really known about intuition. It is often relegated to the concept of feelings. Why do certain recipes gain the love of foodies while others fade like the wind? Why does blue-colored food fail to gain acceptance or certain kinds of music find great appeal while other kinds are no more than annoying music. To be effective in solving business solutions, algorithms must gain some key insights into intuition. Of course, you can assume that so-called AI algorithms will solve simple problems like vegetable but not tomato soup, are the doors opened or locked or alert the riding sharing service that I will be ready to go to work in 15 minutes. Each of these is a complex process that it may take more than one algorithm to get the correct solution or activity. When you add more than one algorithm you just compound the knowledge processing even more as it requires that one algorithm take precedence over another and then you add it more skills required to understand the original problem. Adding in a “tree trunk” process can narrow the scope of each decision. However, as decisions become more complex new algorithms are needed as new data points are added, deleted or modified. Again, the updating of algorithms is another task and who does that? This article is not about just that intuition is something we really don’t understand, it is about that algorithms themselves are the real problem rather than solutions. I propose a new approach that rather than start with the algorithm and then find situations that fit the “square hole,” one begins with intuition. Then you can see from the outside inward to what the algorithm should be rather than inside out. This is, in my opinion what Turing was looking for in his O-machines. If you look at the scope of his work, he explored many things constantly learning about new ideas. He was constantly applying intuition to what was known in the world around him. He constantly added to his learning and by looking at ideas intuitively he expanded his and our thinking of the universe.